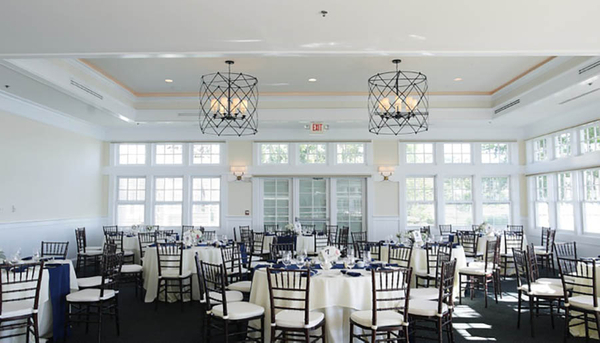 The casual Tavern Bayside features large sliding windows throughout, accommodating fresh breezes and sweeping views of the Chesapeake Bay and Bay Bridge, and is our most diverse setting for many types of events. 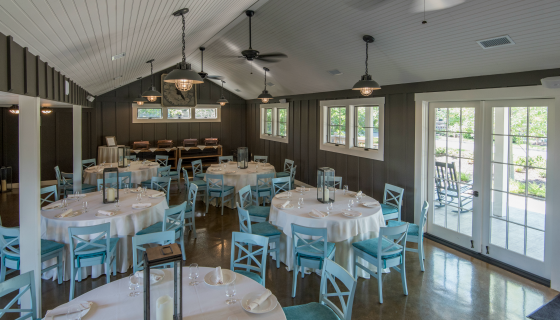 From elegant dinners to casual “Jimmy Buffet” themed events to fun family reunions where picking crabs is all that’s on the day’s agenda, this venue always delights its guests. Enjoy complimentary lawn games on our beautiful beachfront grounds. Located at the Chesapeake Bay Beach Club. 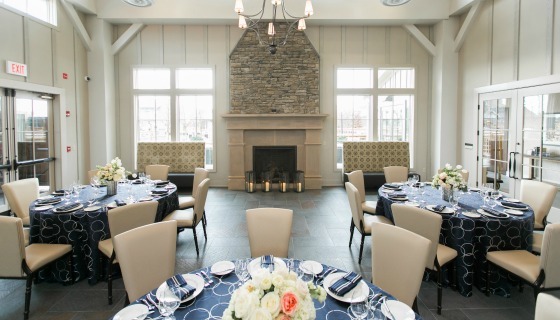 The Garden Room is our most intimate banquet room and features arched French Doors, custom coffered and latticed ceiling along with a large bar and entry wall fireplace. The above canopied Rooftop Deck includes an outdoor fireplace and bar along with dramatic views of the Chesapeake Bay Bridge. Located at the Chesapeake Bay Beach Club. 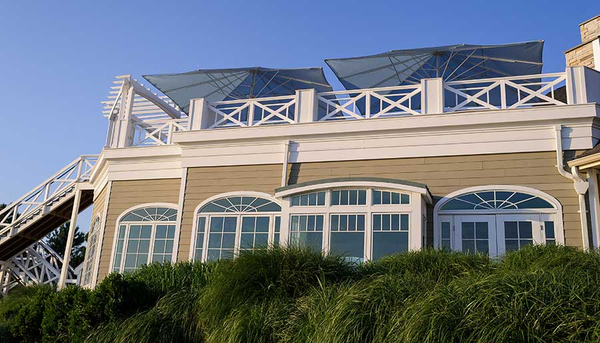 Our spacious Beach House Ballroom features striking architectural detail, large windows and allow a variety of options for meetings and special events. The waterfront terrace and adjacent outdoor deck boasts a large brick fireplace inviting guests to relax in classic wooden rocking chairs. 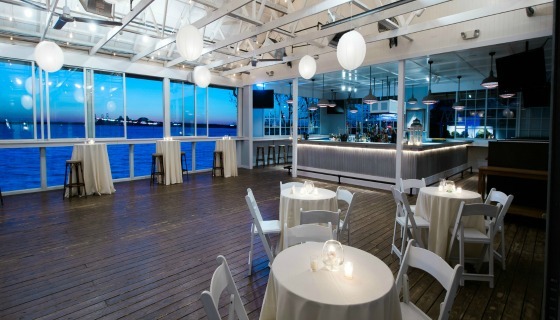 This private venue overlooks a manicured, sunken garden at water’s edge capturing Maryland’s most dynamic sunsets. 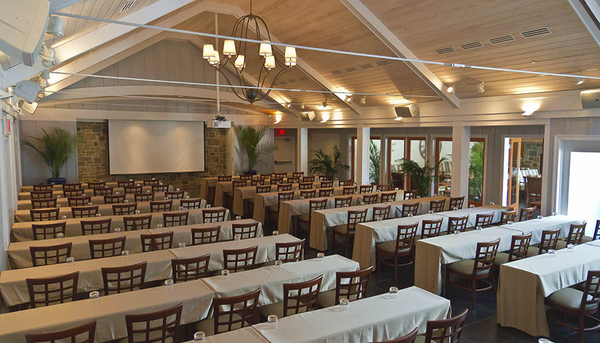 Pair our beautiful Beach House Ballroom with the Tavern Bayside for cocktail hour. Located at the Chesapeake Bay Beach Club. 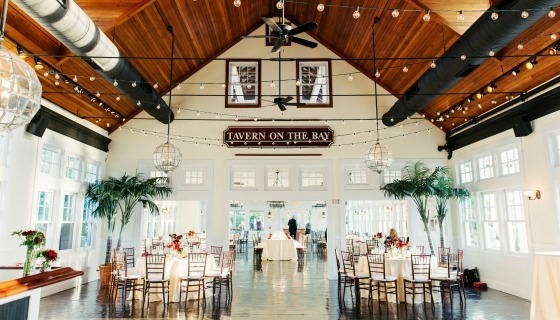 The Tavern Ballroom offers a bit of Eastern Shore charm and character with a dramatic vaulted wood ceiling, Tavern style bar dance floor, dining area and rooftop deck. The rooftop deck features ipe wood decking and an all-weather fireplace, allowing guests to take advantage of stunning views of the Chesapeake Bay Bridge. A beautiful trellised lawn is just steps away from our sandy beach and provides a gorgeous setting for lawn games and photographs. Located at the Chesapeake Bay Beach Club. 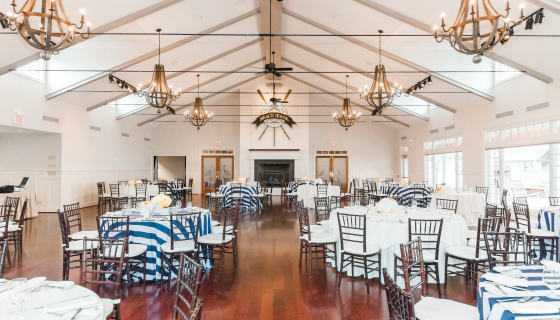 The Sunset Ballroom is a spacious waterfront venue and features all the charm and elegance of a classic New England style ballroom. 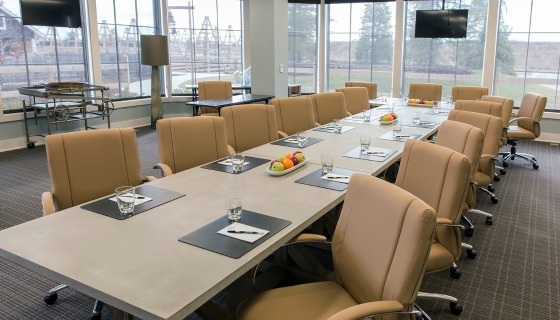 This venue is ideal for planning conferences, fundraisers, award ceremonies and holiday galas. It’s westward facing wall of windows captures bay scenery, dramatic sunsets and an abundance of natural light. Our Sunset Ballroom features a stunning Garden Room with a large canopied Rooftop Deck perfect for cocktail receptions and or smaller functions. Located at the Chesapeake Bay Beach Club. A unique hideaway offering unbridled views of the Inn’s gardens. The Tool Shed Bar is ideal for casual, intimate events utilizing both indoor and outdoor spaces for a fun celebration. 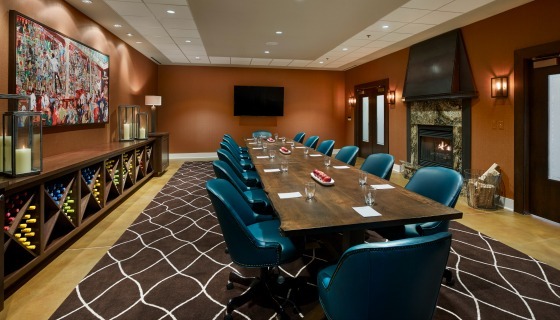 The Boardroom features a custom built wood conference table with leather executive chairs and gas fireplace including state-of-the-art technology ideal for meetings and retreats. Introduced in 2017, Hops Corner is the newest boardroom at The Inn at the Chesapeake Bay Beach Club. Large windows overlook our hops garden offering extraordinary natural light in this spacious meeting room. Three plasma screens, large white board and pin board are included in this space.